Trying to find the best squirrel proof bird feeder was driving me nuts - like the squirrels! So I decided to do some research and review all the features of each model and their pros and cons for 2019. Believe me - gathering this info wasn't easy, but I hope in the long run it will help you decide which feeder will best suit your needs. All the feeders below will hold a variety of bird seed types such as mixes, sunflower seeds, cracked corn, peanut pieces, etc..
Brome is one of the best selling squirrel proof bird feeders and the Squirrel Buster Plus model has won the Best New Product Award from Birdwatch America. Adjustable Length Posi-Grip Perches to attract small and/or medium-sized birds. Most users with big squirrel problems love this feeder & think the price is worth it. This feeder is best for those who have a lot of bird activity (large seed capacity means less refilling) and want to be able to adjust the trigger weight and/or perch size for small and medium sized birds. This is a good compromise if you don't want to spend more and don't have issues with "pest birds" like starlings, blackbirds, etc. & don't need an adjustable trigger weight or the Posi-Grip Perches. If you don't have a lot of birds, or don't mind refilling, this one is a great economical choice & will keep the squirrels out. The biggest con from most users is that it doesn't hold enough seed at only 3/4 lb. "I've been using this feeder (Squirrel Buster Plus) for a year now. It has worked perfectly and the squirrels gave up long ago. Last week I dropped it broke the "cardinal ring" that goes around the bottom. 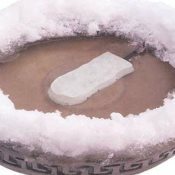 I emailed the manufacturer through their web site to see if I could buy a replacement ring. My email was returned quickly. They said it was no problem, and they mailed me a new cardinal ring for free. I received it in about 5 days. Nice Feature: All Brome models above have the patented Seed Tube Ventilation System which circulates air to prevent moisture from building up in the seed tube and keeps the seed fresher and helps prevent mold. They also all come with Brome's Lifetime Hassle-Free Warranty. In fact, I read a lot of positive reviews of people contacting customer service for spare parts, etc. and were immediately taken care of. Good to know. 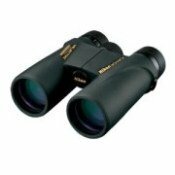 We have a more extensive review the Plus model here: Squirrel Buster Plus Review. 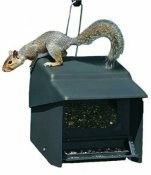 Here are other popular squirrel proof bird feeders from other brands including hopper style feeders such as the Heritage Farms Absolute II and the Homestead Super Stop-A-Squirrel. Heritage Farms also has the Absolute Original which only has a one-sided feeding area vs 2 sides in the Absolute II model. 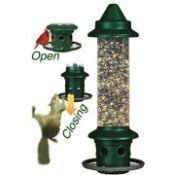 Also included in the comparison chart is the Droll Yankee Flipper bird feeder which is another tube feeder like the Brome Squirrel Buster models. However, unlike the Squirrel Busters, the Yankee Flipper requires batteries to operate the motor which spins the perch when a squirrel presses on it. Large Capacity - 12 lbs. The pole includes a 12" ground socket to allow for seasonal removal of the feeder and pole or for removal during routine maintenance such as mowing. V-shaped bottom for even feed flow and multiple drain holes to maintain dryness. Won Bird Watcher's Digest top award for being squirrel proof! Versatile Use - Can be mounted to a post or tree or hung. Side/storm panels shields from wind, rain, snow. Requires battery and depends on mechanical motor to operate. Good choice for those who have a lot of bird activity (holds 12 lbs of seed) and who also want adjustable weight settings to attract and deter different sized birds. If I had to choose between this one and the mid-priced Brome Classic, I think I would go with the Homestead. It holds more seed and has the adjustable spring to restrict large birds if needed. Most who get a Flipper love it. I read a review from a birdwatcher who has used this feeder for 10 years & it still does the job. Personally, I don't want to have to bother with batteries, but that's just me. If you have an exceptionally bad squirrel problem at your feeders, you may want to give the Flipper a try. I've watched some videos of the hopper-style feeders (particularly the Absolute II) where the squirrel braces some of its weight on the pole and manages to keep the feeder open by not pushing down on the perch lever. So if you have trouble with squirrels climbing your mounting pole, then attach a squirrel baffle below the feeder to the pole. 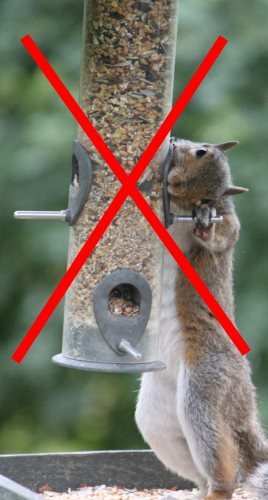 If hanging, you can also attach a baffle from above the feeder which should be at least 1/3 larger than the feeder itself, otherwise the squirrels will manage to squirm around the baffle and reach the feeder. If you can, it's also best to mount your feeder away from squirrel jumping distances, at least 10 feet from trees or other launching surfaces and 5-7 feet vertically off the ground. Here is a great squirrel proof bird feeder pole system with a floating baffle that keeps squirrels from reaching your bird feeders completely. Brome also have a Finch model for Nyjer Seed and a Peanut Plus feeder which holds shelled peanuts or bird food nuggets. 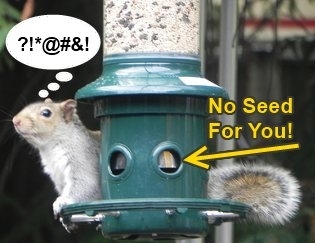 Whatever squirrel-proof bird feeder you choose, I wish you all the best with feeding the birds and not the squirrels!